How Does a Heroin Overdose Kill? Symptoms can begin without hours of the last dose and can last several days. While not fatal, symptoms are extremely unpleasant and can result in severe depression and suicidal feelings. Fentanyl is an opioid pain medication with a rapid onset and short duration of action. It is a potent agonist of μ-opioid receptors. Fentanyl is 50 to 100 times more potent than morphine, but some fentanyl analogs, which are designed to mimic the pharmacological effects of the original drug, may be as much as 10,000 times more potent than morphine. 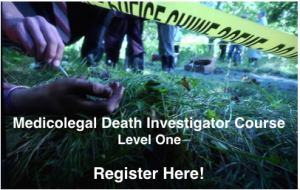 MLDI online Academy is a Nationally Accredited online training designed to teach all aspects of death investigation and scene management. 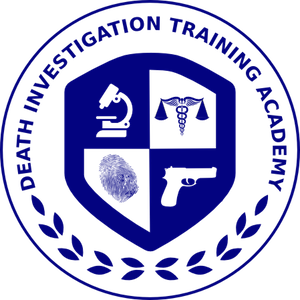 Unlike any other coroner training today, this course offers a blended learning style combining online self-paced video training, along with opportunities of live interaction with instructors several times throughout the program, and a unique private Facebook group open only to students of Coroner School™ where everyone can interact and ask questions. Yes, I do believe that dealers should be charged with felony murder. We must take this very seriously and do what we need to in order to get this opiod crisis under control. In our area, we are definitely seeing an increase in heroin related drug arrests. I don’t think that we have seen many related ODs yet but I am sure they are not far off. Listening to these Pod Casts, makes me very thankful for the county that I work in. 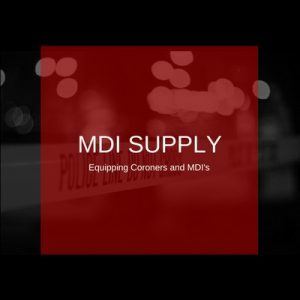 Our state mandates autopsy on a HUGE list of types of death (our county commissioners are mandated to pay for it so it does not hit our budget by the state law) . Washington State Patrol does toxicology tests for free. (our county tox’s EVERY death that our office takes jurisdiction over.) I was a bit shocked to hear that the “cost” of a tox screen was an issue.